Christmas is that time of year when one thinks of cat based romance tales (or tails), and finally someone has made a film about the thoughts that every normal person has during the season. 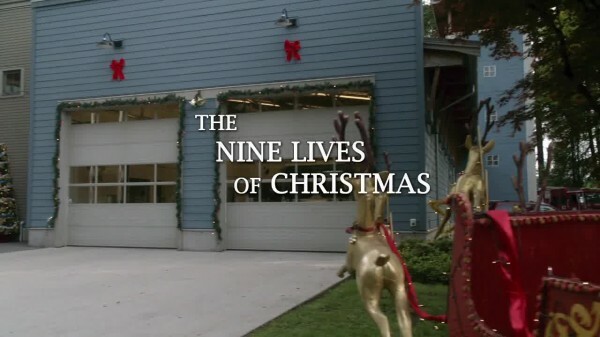 The Nine Lives of Christmas is a nice fun film that lets the charisma of the actors and lead cat overcome a weaker script. At points things come together a bit too easily, which lessens the impacts of the personal insecurities both Zachary and Marilee are feeling. But those objections are largely inconsequential as the film is charming enough to rise above that to deliver some holiday cheer. 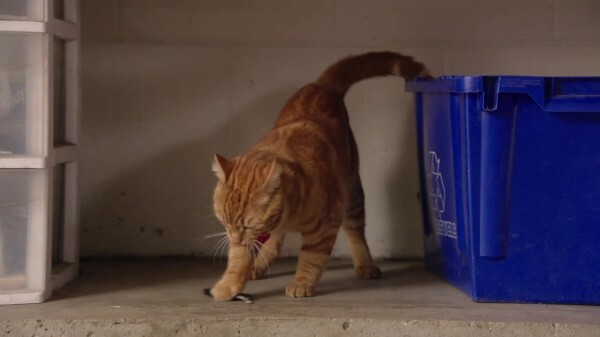 The best part of The Nine Lives of Christmas is that it is pretty much a reverse Garfield movie. Instead of a sassy fat cat, Ambrose is a sweet friendly cat. Instead of a dorky cartoonist, Zachary Stone is a dreamy firefighter. Instead of a vet who constantly rejects his advances, Marilee White is a vet student whose life goals give her the excuses she needs to reject a social life. And the cat doesn’t talk. 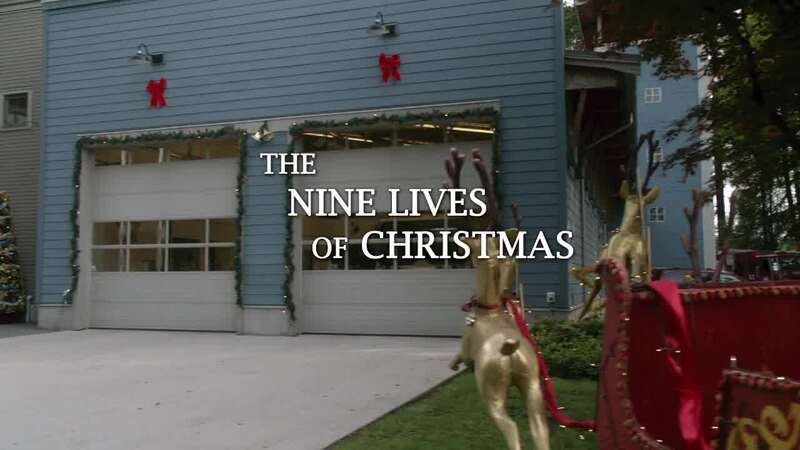 Before I knew anything about the film except for a rough plot outline, it was already the film from Hallmark’s 12 Movies of Christmas event that I was most interested in. The Cat that Defeated Superman! 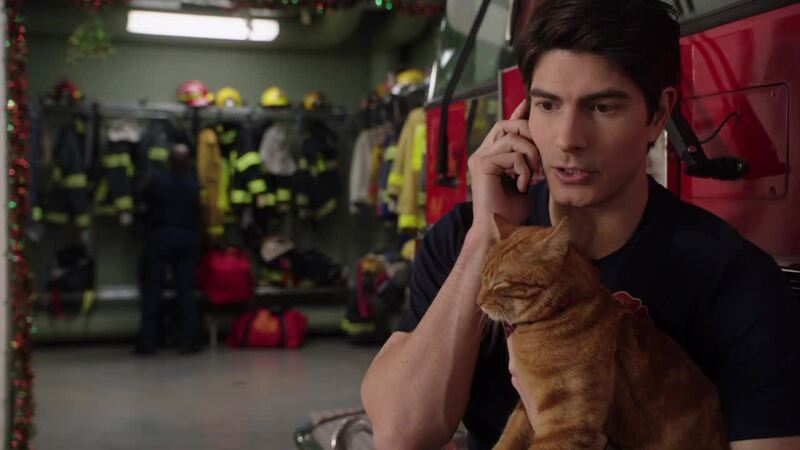 Zachary Stone (Brandon Routh) – Firefighter who lives the single lifestyle of not wanting to get married or even have a serious relationship. He’s the envy of some of his coworkers, but Zachary’s habit of doing good deeds results in him getting a stray cat that plants the seeds of responsibility, and spending all his time with Marilee plants the seeds of romance. Also, he’s freaking Superman! Marilee White (Kimberly Sustad) – Marilee White is a sleepy but brilliant vet school student who has no time for a love life, what with all the studying and the working at a pet supply store, where she is the designated employee that deals with the problem customers. Her apartment complex is run by one of those evil landlords who are all up in your business, and if you have a pet, you are immediately evicted, which probably violates the law but will be important for plot purposes. Marilee does have a clandestine cat named Queenie, and Marilee spends most of her down time dodging questions from her friends and sister about when she’s going to get herself a boyfriend. Ambrose (???) – Ambrose is a smart cat looking for a home, and Zachary saves him from a dog, so now he’s his new owner. That’s how it works in Ambrose’s world. Ambrose finds keys, understands complex human emotions, and gets adopted as the official firehouse cat. He’s also the catalist that cause Zachary to rethink his unattached lifestyle. Becomes best buds with Queenie. Queenie (???) – Marilee’s secret cat that she can talk to to unwind after a long day or work and study. Queenie is against her apartment rules, but once evicted she can move into a spare room Zachary has. Jaclyn (Stephanie Bennett) – Marilee’s sister, Marilee raised her after their parents died, Jaclyn is now a successful real estate agent along with her husband, and is now focused on finding her sister a man. Ray (Sean Tyson) – A goofy fireman who knows the score with regards to Zachary’s metamorphosis into being capable of love. Mark (Dalias Blake) – A married fireman who lives vicariously through Zachary’s lifestyle and becomes concerned when he starts showing actual feelings. Chief Sam (Gregory Harrison) – The wise mentor fireman who loves cats (his wife is allergic) and saved Zachary from a burning house when he was a kid. Sarah (Jen Cheon) – Marilee’s friend who also is obsessed with getting her a date, even though she can’t get a date. Screw this, I’m driving to Vegas!